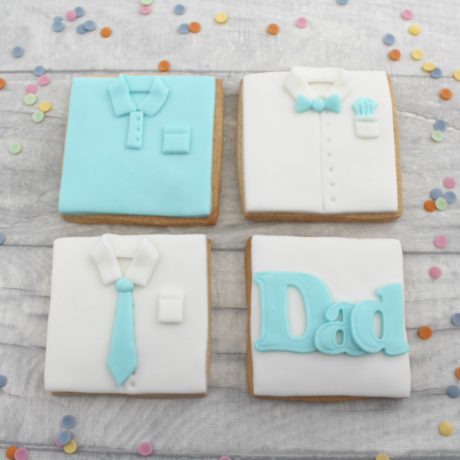 Beautiful handmade Dad shirt themed cookies which you can personalise with your choice of colour. 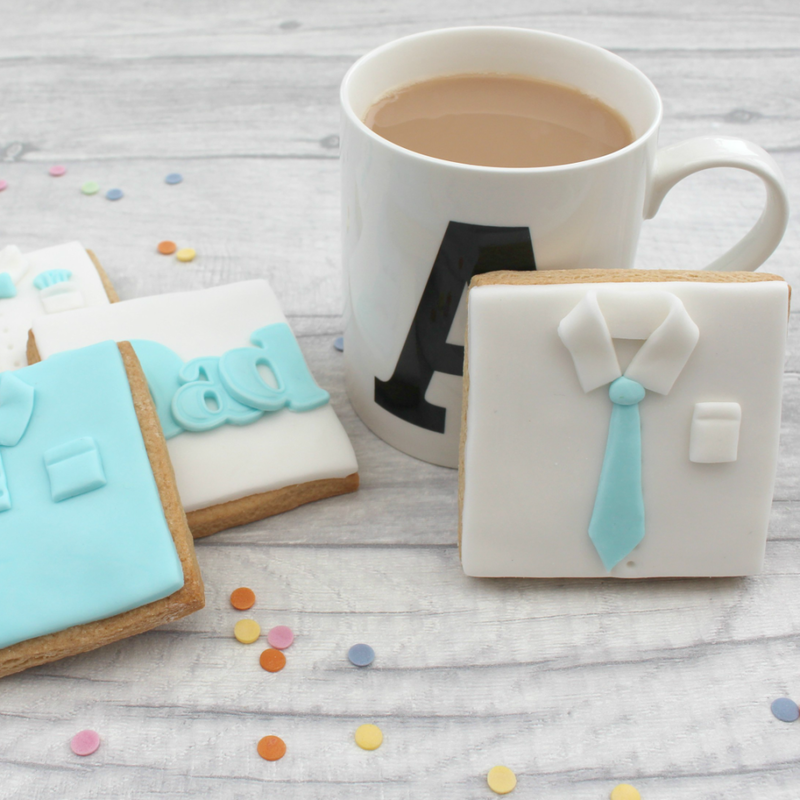 Perfect as favours for Father's Day, a birthday present, or even just as a thinking of you gift set! Made with sugarpaste, in your choice of Vanilla, Gingerbread or Chocolate biscuit flavour. Carefully made to order just for you, so please note it may take up to 5 days to dispatch, and then there's the additional time to be shipped to you, so please plan in advance to make sure you get it in time.Each cookie is individually wrapped in cellophane and posted in protective wrapping and a box to reach you in perfect condition.